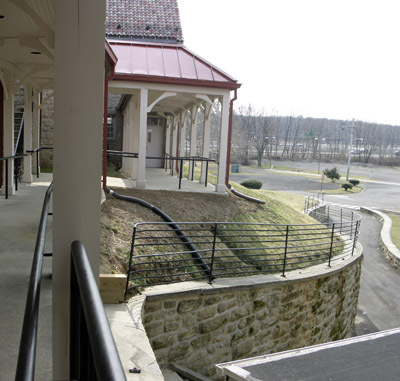 The Sisters of the Blessed Sacrament, the congregation founded by St. Katharine Drexel, has announced it will sell the historic motherhouse of the congregation in Bensalem. 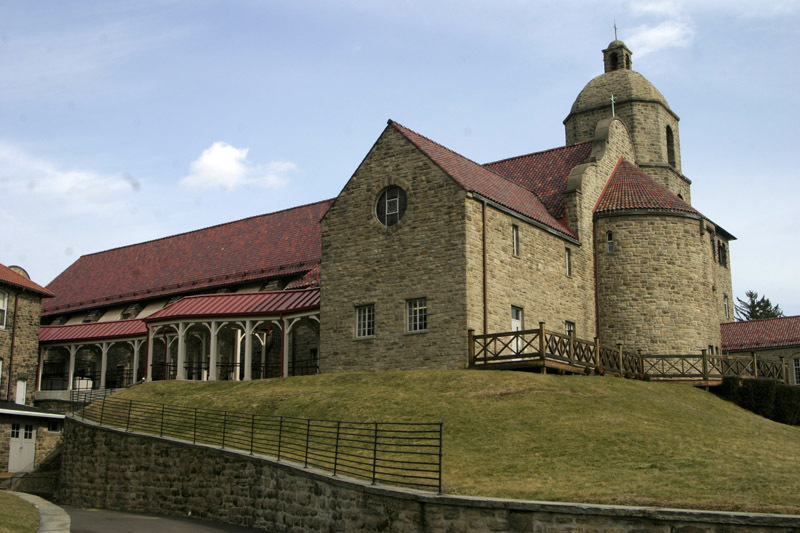 The 44-acre property also contains the National Shrine of St. Katharine Drexel and her tomb. 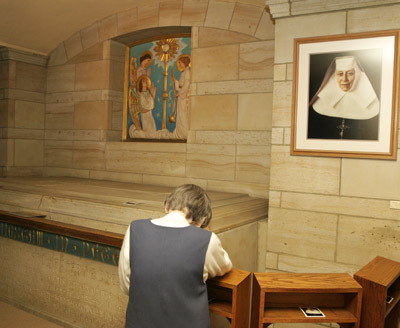 At a future date, St. Katharine’s tomb will be moved to the Cathedral Basilica of SS. Peter and Paul in Philadelphia. At the same time the congregation has placed for sale a 2,200 acre property in Virginia that was the location of two schools founded by St. Katharine and her sister, Louise Drexel Morrell. Sister of the Blessed Sacrament Donna Breslin, the president of the congregation, said in a statement that a portion of the proceeds from the sale of the properties will support the care of retired sisters. Proceeds from the sale of the properties will be used “to challenge, in new ways, all forms of racism as well as the deeply rooted injustices in the world,” Sister Donna said. The decision, according to the statement, will make it possible for the Sisters of the Blessed Sacrament to carry forward the vision and spirit of Mother Katharine Drexel, who left her prominent Philadelphia family to establish a religious order in 1891 with the primary purpose to minister to Native Americans and African Americans. In a separate statement, Archbishop Charles Chaput voiced his support and prayers for the sisters at this time. The Sisters of the Blessed Sacrament at their peak numbered about 600, but have dwindled at this time to 104 with more than half retired, living at the motherhouse. Most of the deceased members are buried on the Bensalem property as are the parents, sisters and brothers-in-law of St. Katharine and priests prominent in the congregation’s history. The statements did not address what will become of the cemeteries. The area of the Cathedral Basilica suggested for St. Katharine’s tomb is near the altar dedicated to her located in the rear of the basilica. The altar was donated by St. Katharine and her sisters Elizabeth and Louise in memory of their parents, Francis and Emma Drexel. St. Katharine Drexel was born Nov. 26, 1858 into Philadelphia’s wealthiest family. She left everything to found her congregation in 1891 and devoted her considerable fortune to the Native and African American missions. She died March 3, 1955 and was canonized Oct. 1, 2000. The Cathedral Basilica of SS. Peter and Paul where she will now be entombed was the site of her funeral Mass. The Bensalem property that contains 10 buildings was also the site of the former Holy Providence School a small residential school. The Virginia property was the site of St. Francis de Sales School, a residential school for African American girls founded by St. Katharine and St. Emma’s Academy, a residential school for African American boys founded by Louise and Edward Morrell. Before they closed in the early 1970s, they educated nearly 15,000 students. The Sisters of the Blessed Sacrament have retained Plante Moran REIA as its exclusive real estate adviser to manage the disposition of the two properties. St Katharine saved me one November night , and now I can not save her . She wants no fighting , we must attract them with joy ! This place is serenity to so many . This is sign of the times and shows that nothing is ‘sacred’anymore . I will always light a candle n pray .. for Jesus is the light of the world . She will always look out for this region . It will always be her home . Thank You , St Katharine . Your energy and love will not be forgotten . How can we stop this?? I’m sure many people would give monthly auto payments!!! Disgrace to the Catholic Church! This nunnery should be saved. What is going to happen to my aunts remains?.. Sister Helen Clair / Patricia Greed ?! No one has contacted my family! Dear Ms. Ryder, the grounds are part of the Drexel Estate, not the Catholic Church. The cemetery remains in place as part of the sale. It was a joy, a privilege and an honor, plus a major blessing, to have the shrine in Bensalem and we will continue to honor it at the Cathedral. Thank you, God, for Saint Katherine Drexel. We visited the Cathedral for Easter 2017 and there was a beautiful place to pray to Saint Katherine Drexel. I was wondering if we have access to any of her writings, letters, speeches, etcetera. She was ahead of her time and I would love to read what she had to say. Thanks for any info. I’m so so saddened by this news. I was a student at Holy Providence school in the 70s and remember those years fondly. I was very sad to hear of the sale. My prayer wish (and I left it at the shrine this past Sunday) was to find a benefactor so that the mission of the sisters can continue without the need for the sale but the property can be maintained as a memorial to St. Katherine Drexel. What a great place to visit in our midst. We so need a retreat house today to counter all of the challenges of the world. I have been here and prayed. The answer Katharine Drexel gave me was to make her home a haven for families who have critically ill loved ones at the hospital who need a place to stay during their loved ones treatments. That would be the best use of this beloved home. So. Sad to hear of the decision to dispose of this be beautiful shrine. Could it not be saved ? I spent many days at St. Michaels in Torresdale. My grandfather was the Gardner working for Mother Katherine’s sister, Louise Morrell for close to 50 years. Visits to St Katherine’s were always a treat. When Mrs Morrell died she had arranged for my grandparents to continue to live at their house on the propert for as long as they lived. What a generous family were all the Drexels. What a disgrace to have this shrine sold. Shame on the Catholic Church. I believe firmly that this holy Shrine could be saved but that the church has cast its eyes in another direction and in so doing is losing a great source of light. So well put!!! I am beside myself! My aunt was a nun directly under St. Katherine, an her body is buried on the property… what do I do now??? Disgrace! How sad! This is a great religious order which helped so many. These sisters were brave women who stood firm against American racism. Now they are closing down a significant piece of their history. It is my opinion that this was the direct result of a liberal agenda out of control which developed into sommething St. Katarine Drexel would have neither recognized nor approved. Years of poor leadership has destroyed a great order.This did not have to happen. I was very sad to read of this development as my great aunt dedicated her life to this convent and the work of Saint Katherine. I believe she is buried in the convent grounds and I would like to know what will happen to her remains. She has not and will never be forgotten by her Irish family and we would like to know that she and others interred there will not be left to progress. Does anybody know what is proposed to happen to the cemetary. Let us ardently pray for these “Brides of Christ” who have devoted their lives to the ministry of teaching Native Americans and African Americans. They took among their sacred vows, that of obedience. They have as religious,been enablers teaching God’s word and praying with others. They have forever changed lives of so many with whom they have come in contact. Whatever is God’s Will, we know, but am hoping for a miracle to keep all together. Maybe a miracle for them like some miracles others have experienced in praying through SKD. This would have not been necessarily 20 years ago if the Sisters had managed their Matrimony better and not have modernized themselves out of existence and rewrite their Mission Statement. Mother Katherine did not found the Congregation to serve Jamaica and Haiti, but American African Americans and the Native Americans. Saint Katherine had to abandon this congregation. I have not been informed that the poor African American Children no longer need the Church’s and the Blessed Sacrament’s Sister’s help. Their leaders will continue to make this Congregation a footnote in American Church History. When an order gives up their habit, this is the inevitable outcome. Very said, but at least St. Katherine Drexel will be moved to the Cathedral where many may venerate her. Just read of this now old News. It seems that some of those who have made comments know of changes that have come about in the Order which have led to to this incredible development. Maybe EWTN and Mother Angelica’s Order can take over the Property and Set Up a Northeast Sattelite Operation. Modernism certainly seems like it is in operation here. God bless the sisters in making this very difficult decision. The Archdiocese will lose a valuable shrine and a very holy place.